The dream has turned into reality, aspirations have been realised, and pride has been restored – the dream for Telangana has come to a reality. The longest struggle for creation of separate state in the history of India has come to halt. A prolonged struggle since 1956 is over. The revolution, like a roller coaster achieved crest and troughs but never fizzled out, not even a sign of waning. The people of Telangana have got what they desired and deserved. Now the time is to rejoice. 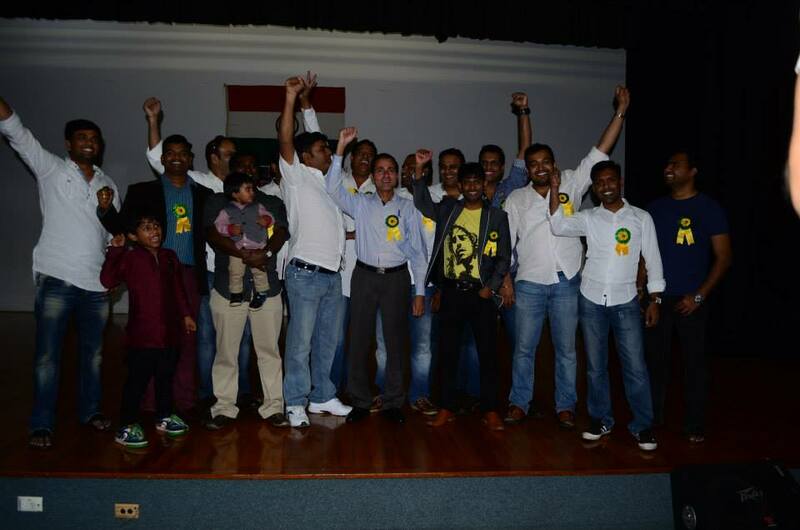 It is with the sentiment that Brisbane Telangana Association celebrated the commemoration of creation of the state of Telangana on 8th June 2014. 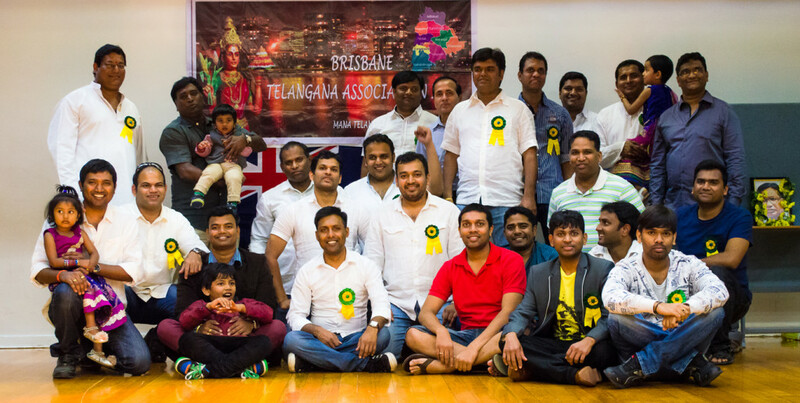 A remarkable event took place in Brisbane, the chanting of Jai Telangana by over 250 people, throughout will resonate for weeks and months to come. Brisbane Telangana Association is a budding organisation, with strong leadership under the safe hands of Shri Nikhil Reddy. The event was an assortment of variation and set up a memorable afternoon. The event unfolded with an audio-visual presentation on the struggle of Telangana. The visuals are such a powerful medium; motion pictures projecting emotion, no one in the hall remained untouched. This presentation included congratulatory and motivational messages over video by Prof. Kodandaram – TJAC Chairman, Shri T. Harish Rao – Irrigation Minister (Govt. of Telangana), Shri Etela Rajendar – Finance Minister (Govt. of Telangana), Shri Solipeta Ramalinga Reddy – MLA Dubbaka for Telanganites living in Brisbane. What followed next was spectacular display of series of folk dance. The expression of the dancers, moves, devotion, mesmerized the audience. Some comic relief was provided which left audience in splits with laughter. The enthusiasm of the performers, the cheerful faces, the energy, the emotion, the number of attendees, made this an occasion to savor. Overall the event was an expression of resounding triumph. The triumph of the historic moment lay not in the final outcome but the journey that that was required to reach that crowning moment. A glorious future for Telangana is on horizon. OFBJP Australia congratulates the people of Telangana and wishes them good luck.